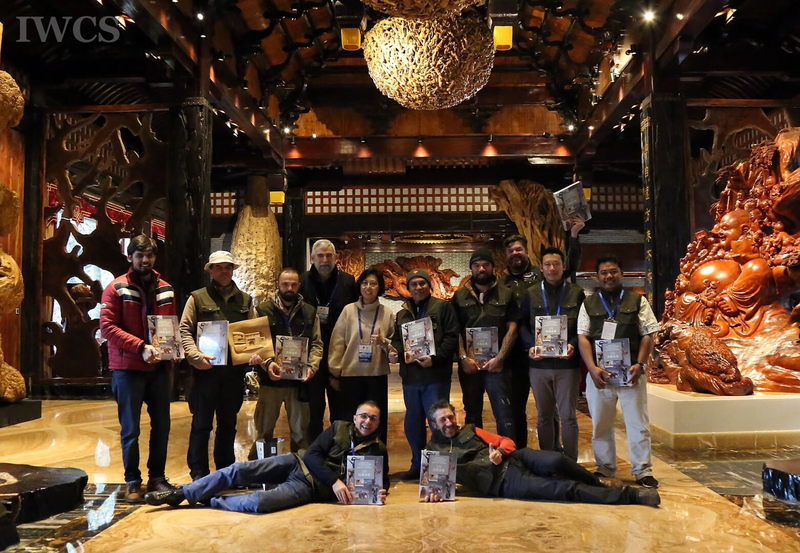 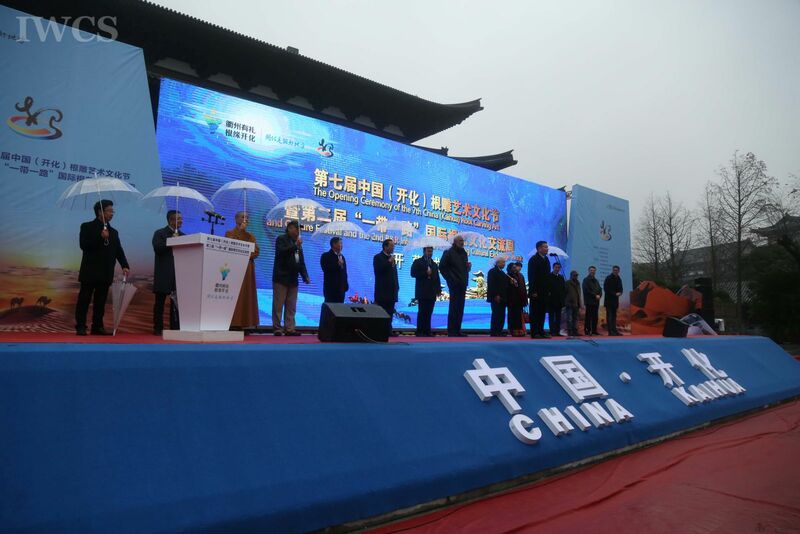 The 2nd “Belt and Road” International Root Carving Cultural Exchange Week organized by the International Wood Culture Society (IWCS) and Zhejiang Kaihua People’s Government started on Dec. 14th, 2018 at Gengong Foguo Culture Tourist Zone in Kaihua. 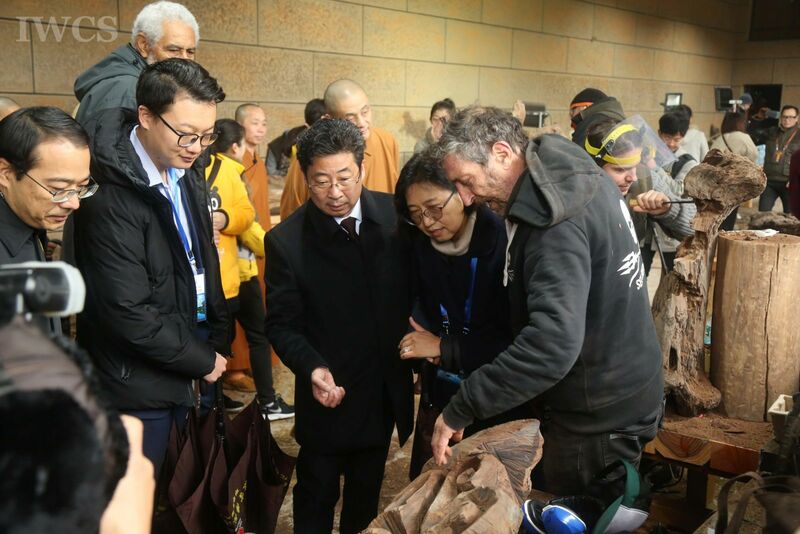 There are 14 international artists (coming from Belarus, Belgium, Bhutan, Bulgaria, Cambodia, Czech Republic, France, Georgia, India, Malaysia, Morocco, New Zealand, Palestine, and United Kingdom) invited by IWCS to participate in the event to demonstrate and exchange the contemporary root carving and carving skills in order to enhance the root carving inheritance and innovation. 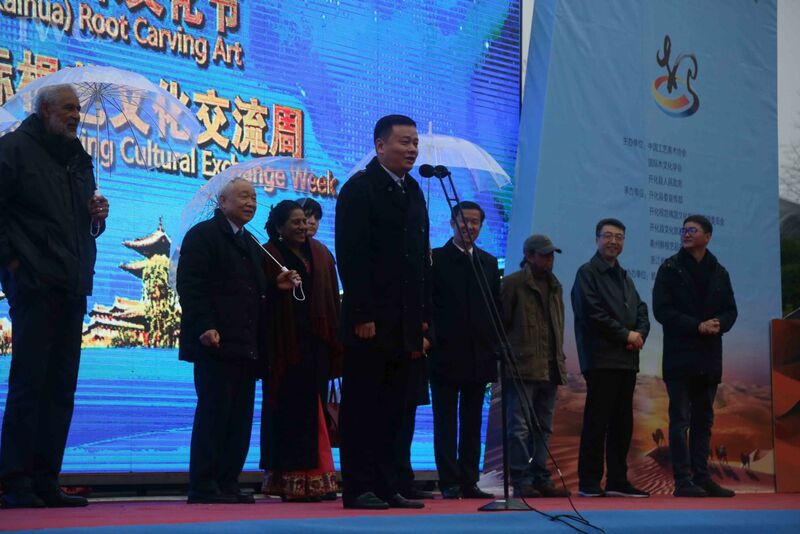 As part of the 7th China (Kaihua) Root Carving Art and Culture Festival, the 2nd “Belt and Road” International Root Carving Cultural Exchange Week continues the concept from the previous event; after the material selection for their root carving, the international artists joined the Chinese root carvers (those who participated in the 5th “Drunken Root Cup” live creative competition) to demonstrate their skills. 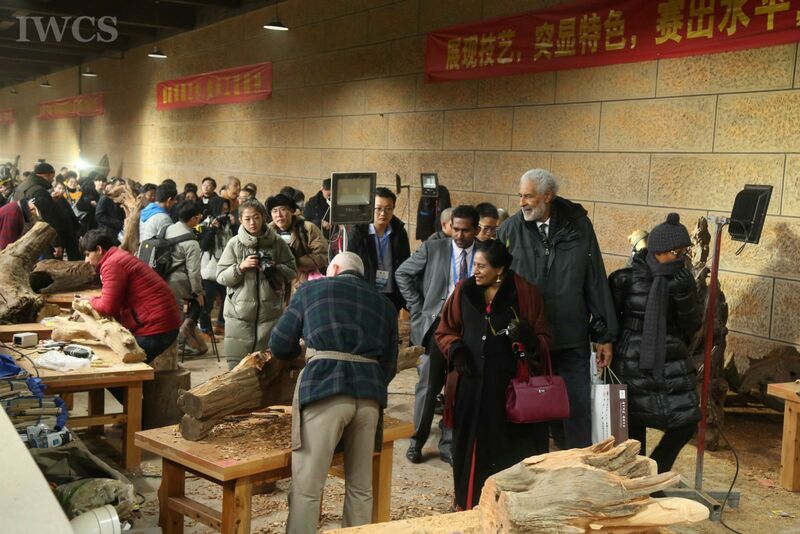 Based on their different cultural backgrounds, eclectic carving theme, and various carving techniques, the “Root Town” became a focal point of the event. 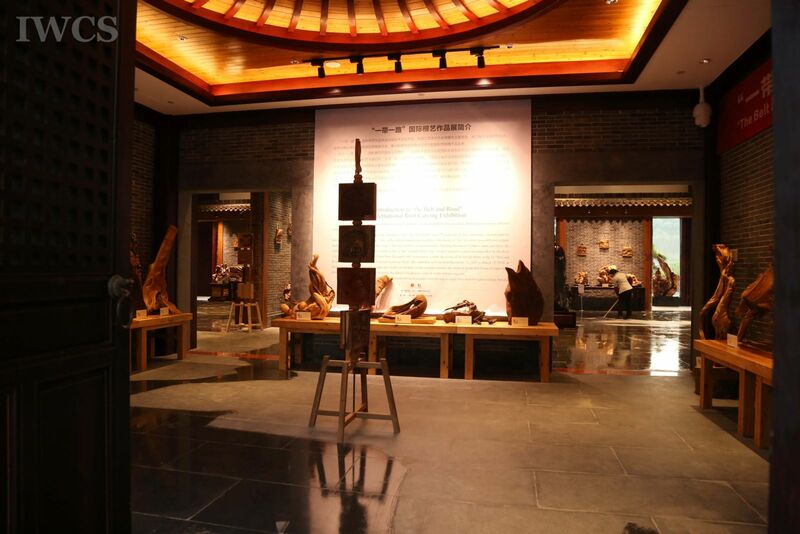 The “Belt and Road” International Root Carving Exhibition collected 103 art pieces creating from more than 70 international artists based on the theme of “LIFE.” Within the given size limit, each art piece reflected the interpretation of Life from all artists. 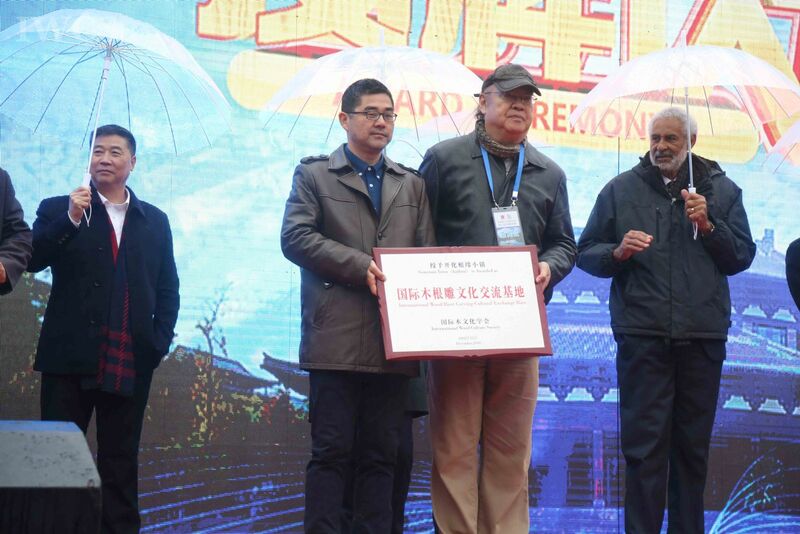 In addition, there were 15 more art pieces from the previous Cultural Exchange Week and winning pieces from the “Drunken Root Cup” live creative competition. 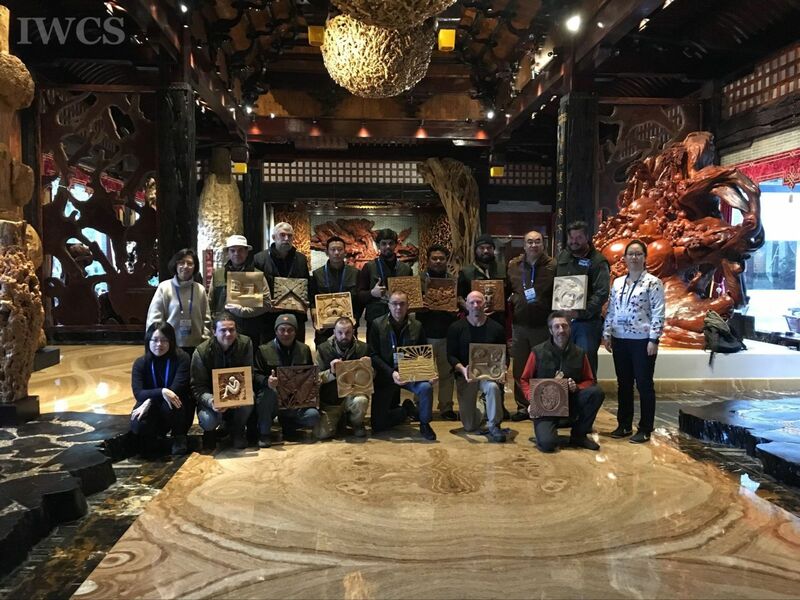 The 2nd “Belt and Road” International Root Carving Cultural Exchange Week continued for one week, and all international artists finished their root carving creation on Dec. 17th.